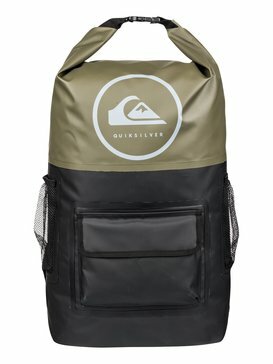 Keep your most prized possession protected in a Quiksilver surfboard bag. We’re talking about your surfboard, of course. Your board gets beat up enough in the water, there’s no need for unnecessary dings due to poor storage. 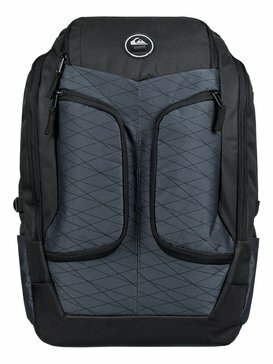 With a Quiksilver surfboard bag your board can stay safe no matter where you keep it, so that you know it’s ready to go the next time you suit up for a surf. We’re experts in everything related to the sport of surfing, and we have designed a collection of surfboard bags that offers variety in coverage and protection levels. We have everything from lightweight surfboard socks to heavy duty surfboard travel bags so that you can accommodate the transport and storage of your surfboards as needed. From the comfort of your car, to the racks in your garage, to unforgiving storage compartments on an international flight, Quiksilver knows how important your board is to you, and we’ve got it covered. A surfboard bag is more than just an accessory, it’s a technical piece of equipment that needs to be fitted properly to ensure proper protection of your surfboards. Even the slightest ding in your surfboard can throw off your next surfing session, which is why we’ve created a collection of surfboard bags and surfboard travel bags that can keep that from happening. We’ve got a range of sizes to accommodate whatever sizes of shortboards and longboards you have in your quiver. Our shortboard surf bags can cover everything from small wave boards ranging from 5’5 to 5’8 in size, to standard shortboards ranging from 5’9 to 6’4 in size, to big wave boards ranging up to 7’. For those who have longboards to store, we have longboard surfboard bags as well to keep your boards nice and comfortable between swells. 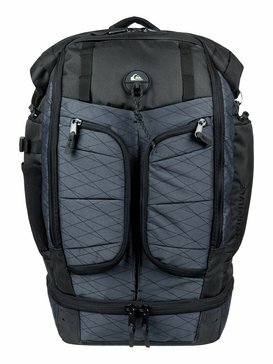 We also have different styles of surf bags that offer varying levels of coverage and protection. Our general rule of thumb is that if you’re board isn’t in the water, it should be in a bag. Why? Keeping your surfboard covered not only protects it from unexpected dings and scratches, it also prevents your board from being exposed to the heat from direct sunlight which can de-laminate your board or cause the foam to expand from the heat. If you’re storing your board somewhere shady and cool like your garage, then you can get away with keeping it in a surfboard sock or knit surfboard bag that offers surface level protection from the unexpected. Surfboard socks are a great type of minimalistic surfboard cover that give you a way to store your boards without having to take up too much space. We understand that not everyone can catch the best waves in their backyard, which is why we’ve designed a range of surfboard travel bags so you can grab your board and go wherever the waves are calling. 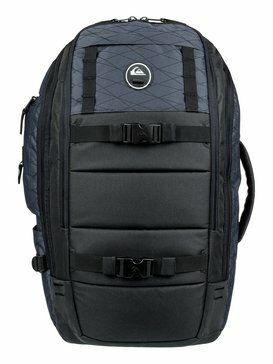 What makes Quiksilver board bags the best surf travel bags? Our designs are lightweight and durable for easy dependable transportation to your destination. 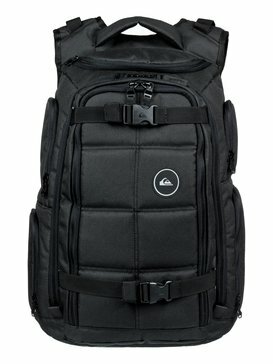 Whether you’re flying or driving, we’ve got travel board bags that will get your boards safely from point A to point B. For easy day trips pack your surfboard in one of our surfboard day bags or coffin surfboard bags, perfect for the car and for carrying everything you need to have an epic day trip to the beach. For air travel, give your boards the best protection possible by packing them properly in one of our surfboard bags. Our surfboard bags with wheels make it easy for you to move effortlessly through lines at the airport without your oversized companion slowing you down. If you’re flying to a destination to surf, don’t risk getting there without the right board. It’s always a good idea to pack a few different types of boards just incase the swell changes. We have double surfboard bags that can conveniently accommodate two boards at once as well as multi-board surfboard bags that can carry a number of boards so you never have to worry about being left high and dry on the sand. Wherever you’re next surf adventure is taking you, Quiksilver is here to make sure that your surfboards are beside you every step of the way. Are you committed to keeping your surfboards in tip top shape? We thought so. Navigate your way to Quiksilver’s online store to browse through our selection of surfboard bags today. 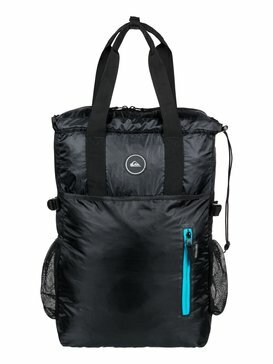 With styles that range from simple surfboard socks to detailed surfboard travel bags, you’re sure to find the perfect bags to accommodate your surfboard travel and storage needs. When it comes to surfboard bags there are a lot of details to consider, and a lot of styles to choose from, we know it can be overwhelming so we have created a free customer service helpline to be available to you as a resource while you shop. Feel free to ask questions and get the answers and information you need to make the best purchase decisions.